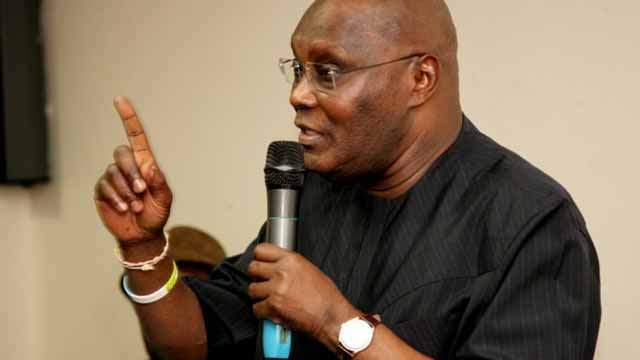 Atiku Abubakar, former vice president, has mocked the All Progressives Congress (APC) over the corruption fight of the President Muhammadu Buhari government. Speaking through his Presidential Campaign Organisation on Wednesday, the PDP presidential candidate said APC’s call for security agents to be on the watch to prevent the imaginary ‘illicit cash’ from entering Nigeria was diversionary. He advised the government to focus on the alleged indictment of Vice President, Yemi Osinbajo and APC national chairman, Adams Oshiomhole, for corruption. Atiku’s campaign in a statement by Segun Sowunmi, its spokesman, wondered why the APC which made allegation that the Wazirin Adamawa, was moving in money made a 180-degree turn by saying that the former Vice President is broke. international community some assurance that the party is not imploding. No wonder there is a lot of policy flip-flop under the APC administration!